 UKDN Waterflow > News > UKDN Waterflow – The fourth emergency service? UKDN Waterflow – The fourth emergency service? When UKDN Waterflow Engineer Shane Coxhead stopped to drop off supplies to Ben Nightingale and Gary Alfrey, who were attending a site to excavate and replace a gully for an insurer client at a Norfolk house, they never realised the heroic afternoon it was going to turn out to be. The householder was alone in the house, and whilst they were there she had an accident falling into her greenhouse, cutting herself rather badly. In a state of shock and unable to see if the injury was serious (it was on her left elbow) she called to the engineers for help. Shane fetched a first aid box from his vehicle and immediately tightly bandaged the arm and advised the householder that she needed to go to hospital. Too shocked to even make a phone call he used his own phone and made all the arrangements for the customer. The injury turned out to be very serious with the householder finding out that she had cut through her left arm to the bone and had dislocated her right shoulder. In a letter to UKDN Waterflow received after the event the householder praised the team for their ‘prompt and very, very kind assistance’ without which she believed the injury would have been much worse. Going the extra mile when we need to makes all the difference to our customers and Shane was personally visited by UKDN Waterflow CEO Nick Harris who offered his personal thanks for a job well done, and presented Shane with some vouchers as a thank you from the business. Our insurer client was similarly delighted and has also presented Shane with a certificate and vouchers. All UKDN Waterflow vehicles carry a first aid kit as standard.